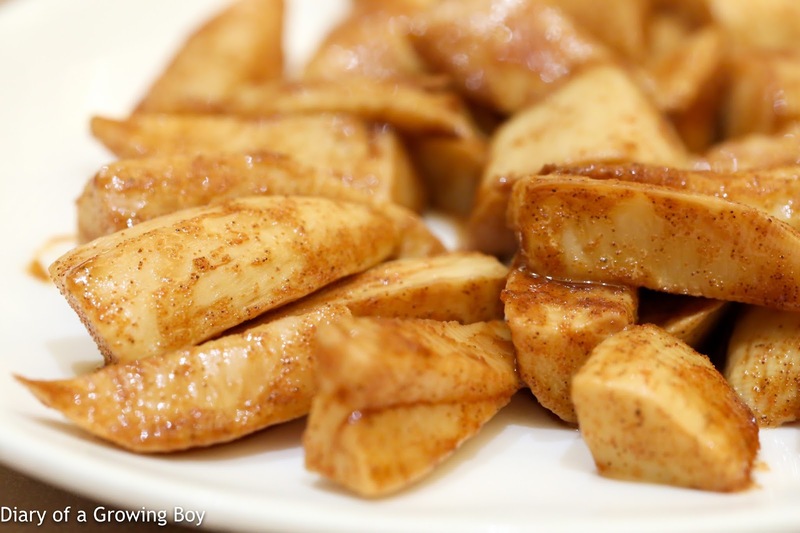 Deep-fried chicken kidney mixed with egg custard (雞子戈渣) - no, these aren't made of chicken kidneys... We did tell the others the identity of the exotic ingredient, and nobody batted an eyelid. After all, it's mostly chicken stock and eggs. But today the execution was a little off, as a couple of pieces were a little too brown. 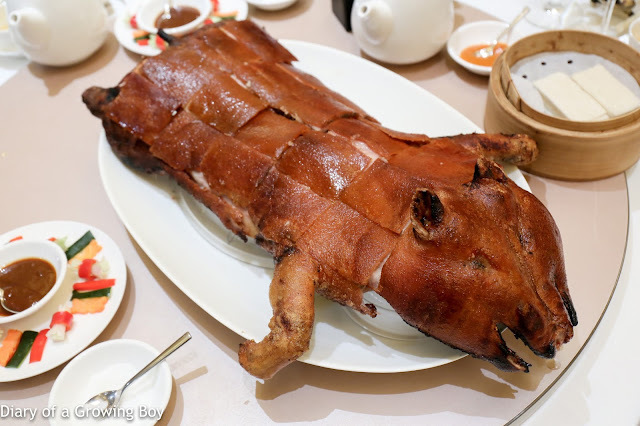 Crispy pork belly (脆皮燒腩仔) - this block seemed a little lean, and the crackling seemed a little more brown than usual. Still OK, though... and the two girls pretty much inhaled them. Barbecued whole suckling pig (大紅片皮乳豬全體) - the main event tonight, which I pre-ordered while making the reservation. The adults were busy taking pictures of the delicious-looking piggy, to the point where the two girls were getting so bored waiting for us to finish. The expressions on their faces pretty much said: "Seriously?!" After we finished with the crispy crackling, the rest of the pig was taken away to be shredded. What came back were two plates - one bearing the ribs and the meat underneath the crackling, while the legs and other crispy bits were on the other plate. There was almost nothing left when we were done... and it was such a pleasure watching two little girls with voracious appetites. 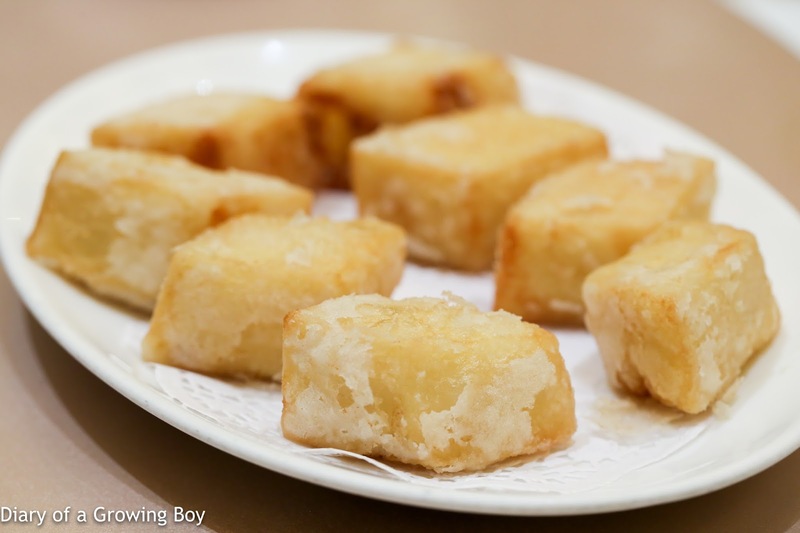 Deep-fried shrimp toast (窩貼明蝦) - I ordered these because I thought the kiddies would like them, but truth be told, I think they preferred the pig... In any case these were pretty tasty. 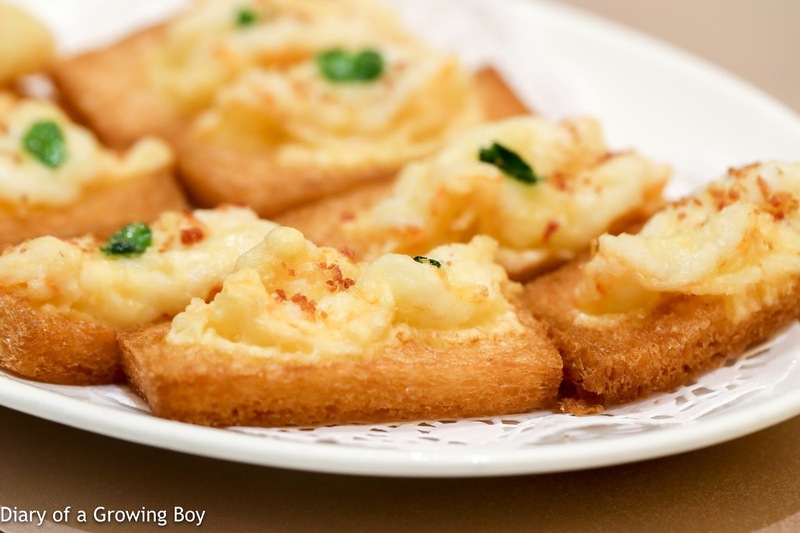 Heck, what's not to like about crispy, deep-fried pieces of toast with shrimp on top? Braised winter bamboo shoot with shrimp roe (蝦籽乾燒冬筍) - always love this seasonal item, and having it covered in shrimp roe added a whole new facet to the sweet and crunchy flavors. 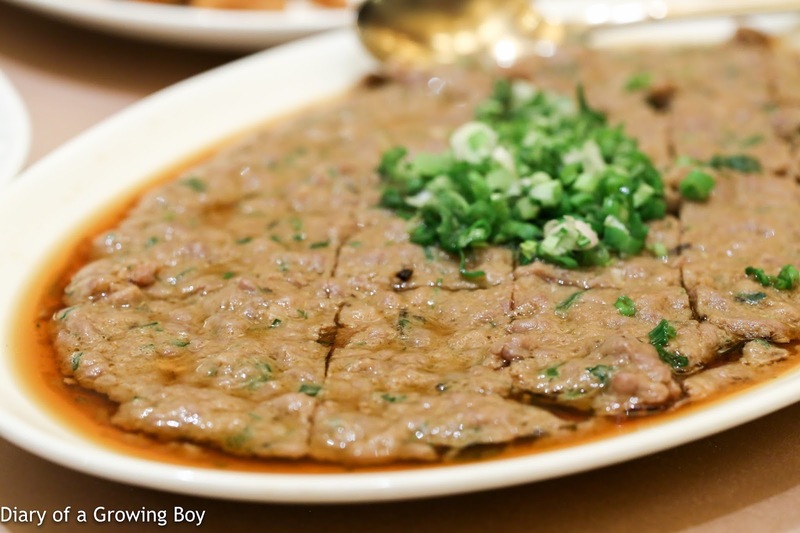 Steamed minced beef with aged mandarin peel (陳皮蒸牛肉餅) - a simple, homey dish. Our visitors were surprised at the fragrance coming from the aged mandarin peel. Hello Kitty wanted to order some steamed rice to go along with the dish, but given that we had glutinous rice coming later, we decided to hold off. Scrambled egg with 'kei wai' shrimps, centurion egg and spring onions (蔥花皮蛋圍蝦炒滑蛋) - always one of my favorite dishes here. 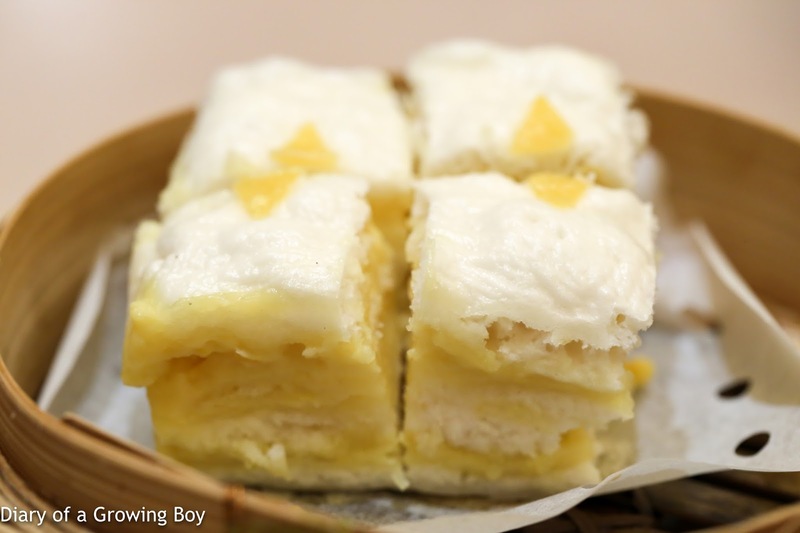 Very homey and comforting, and I love the combination of century eggs and scrambled eggs. 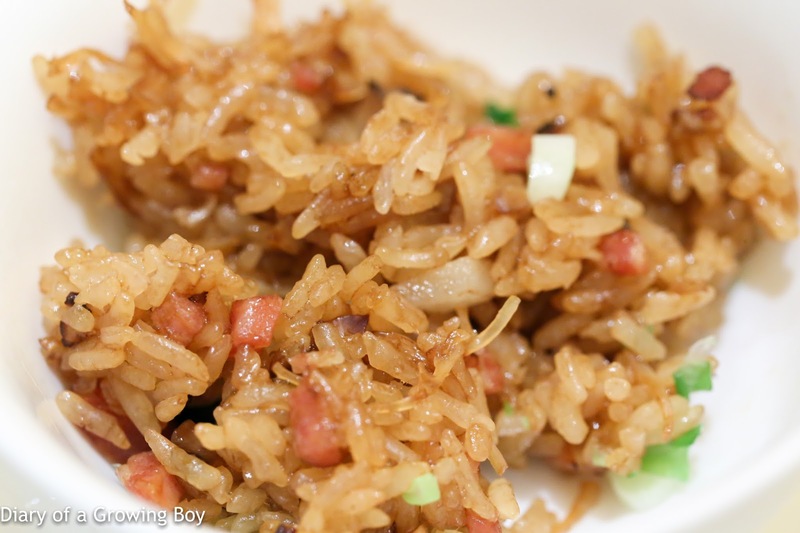 Stir-fried glutinous rice with preserved meat (生炒糯米飯) - always glad to have this seasonal dish, but tonight it was a little too wet and soft for my liking. 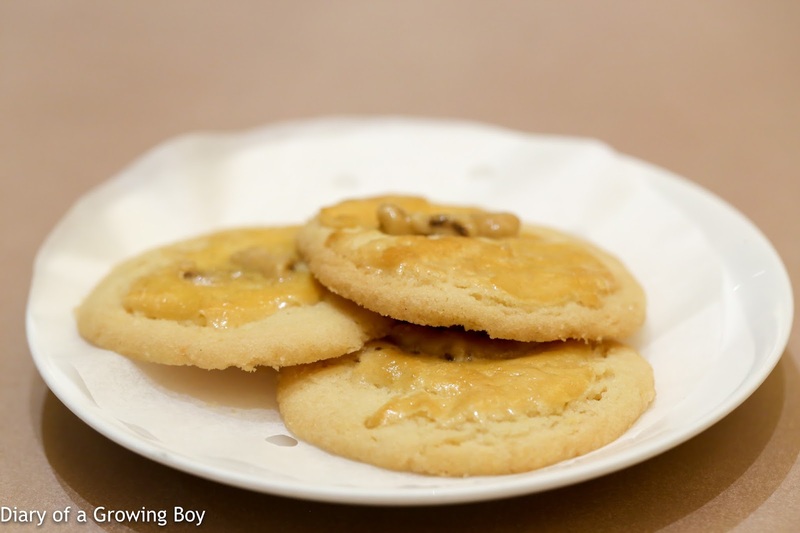 Walnut cookies (合桃酥餅) - one of my favorite items from the dessert menu, but I really would prefer them to be more brown and for the sugar to be more caramelized. Still pretty tasty, though. 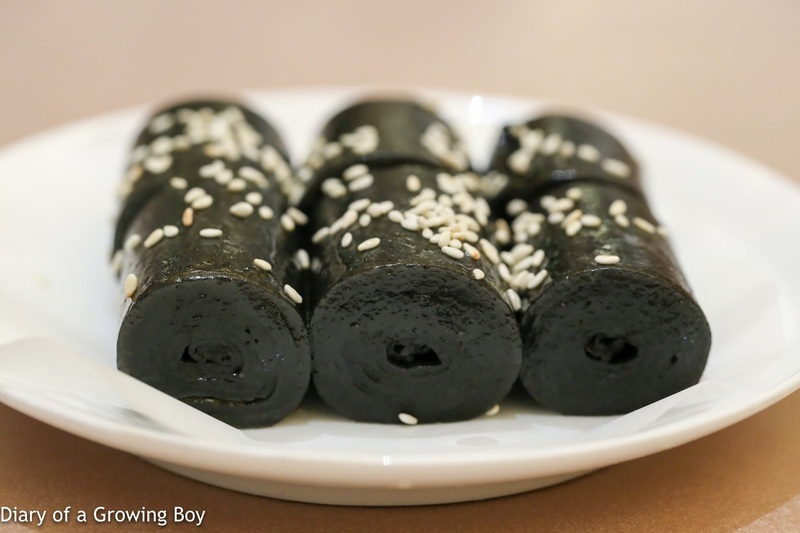 Black sesame roll (懷舊芝麻卷) - it's always fun to introduce people to this old-school dessert, which looks like a roll of 35mm negative film. I think the adults and kids alike enjoyed unrolling them before eating. 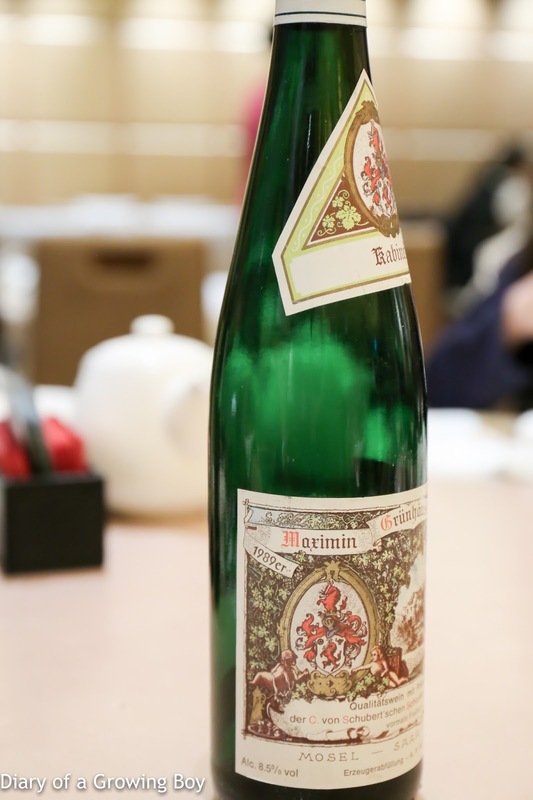 1989 von Schubert Maximin Grünhäuser Herrenberg Riesling Kabinett - classic petrol nose, flinty, with good acidity. 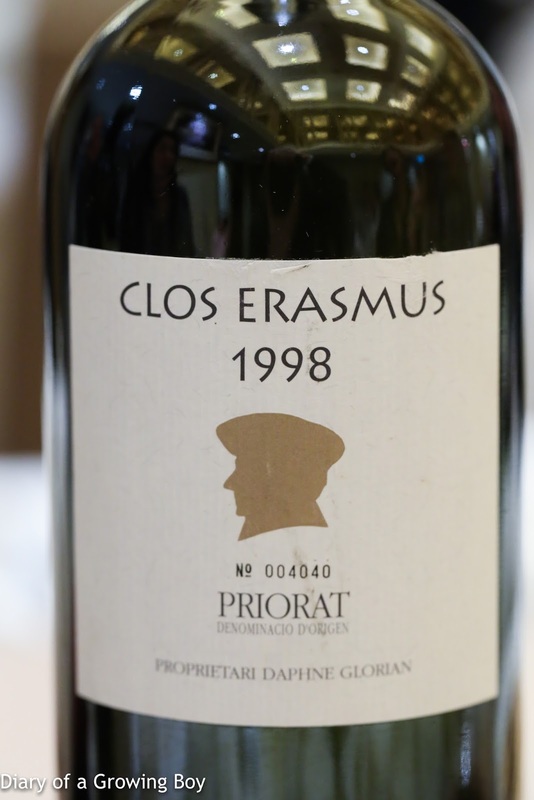 1998 Clos Erasmus - decanted 1½ hours prior to serving. 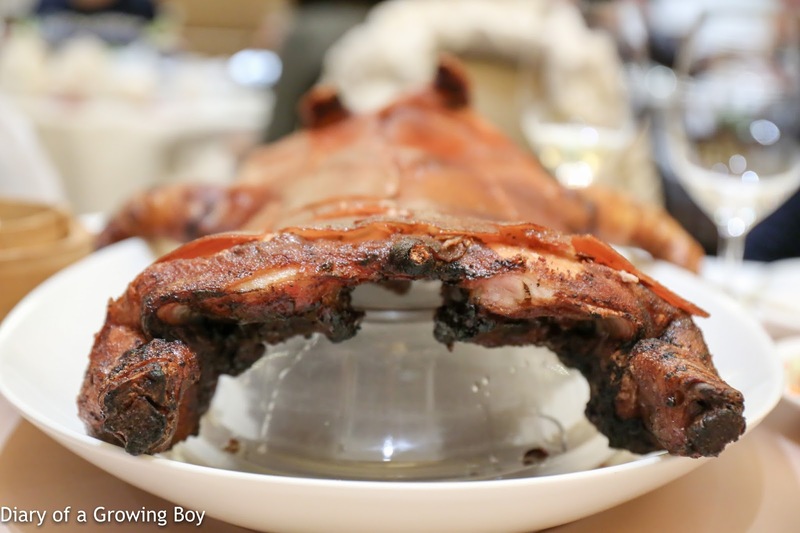 Initially nose of stewed fruits, a little lighter than expected, with smoky meats. Rather disappointing. 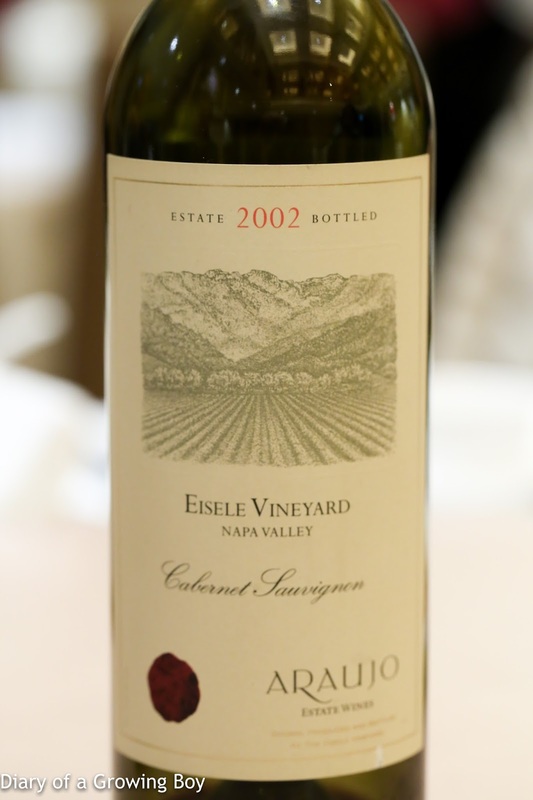 2002 Araujo Cabernet Sauvignon Eisele Vineyard - decanted just prior to serving. 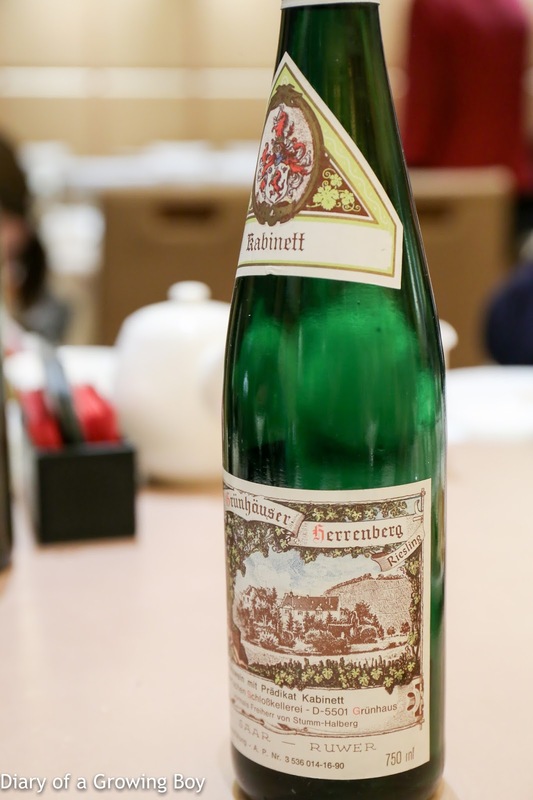 Very minty, lots of sweet fruit, very ripe. Pretty fragrant with cedar notes. Drinking very nicely. This was a pretty fun evening, making new contact with fellow foodies over... good food. Can't complain about that!